In addition to building the network of Authorised Treatment Facilities, we have worked to provide an effective compliance solution to vehicle importers and raise awareness about the correct way to scrap a vehicle. 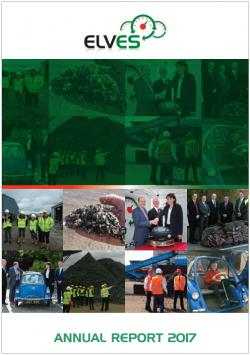 The Report details that in 2017, the ELVES Network of ATFs will have met the 95% reuse, recycling and recovery targets for ELVs. You can find out more about ELVES and our activities in 2017 in our Annual Report.